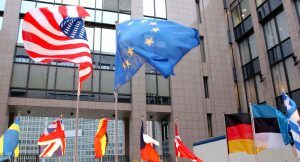 EU Charging 25% Import Duties on American Goods | BDG International, Inc.
Beginning last Friday, the European Union (EU) has started charging import duties of 25 percent on a range of U.S. products as retaliation to the U.S. imposed tariffs on EU steel and aluminum earlier this month. This list of products includes home appliances, motor vehicles, household articles, apparel and footwear, textiles and fabrics, whisky, tobacco products and more. All told, these duties equate to approximately $3.2 billion of U.S. goods.